In just 27 days, the Duggars will return to TLC with new episodes of Counting On. 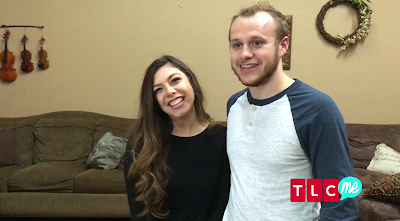 The show left off in mid October with a detailed look at Joy and Austin Forsyth's wedding and a first look at Joseph and Kendra Duggar's nuptials. 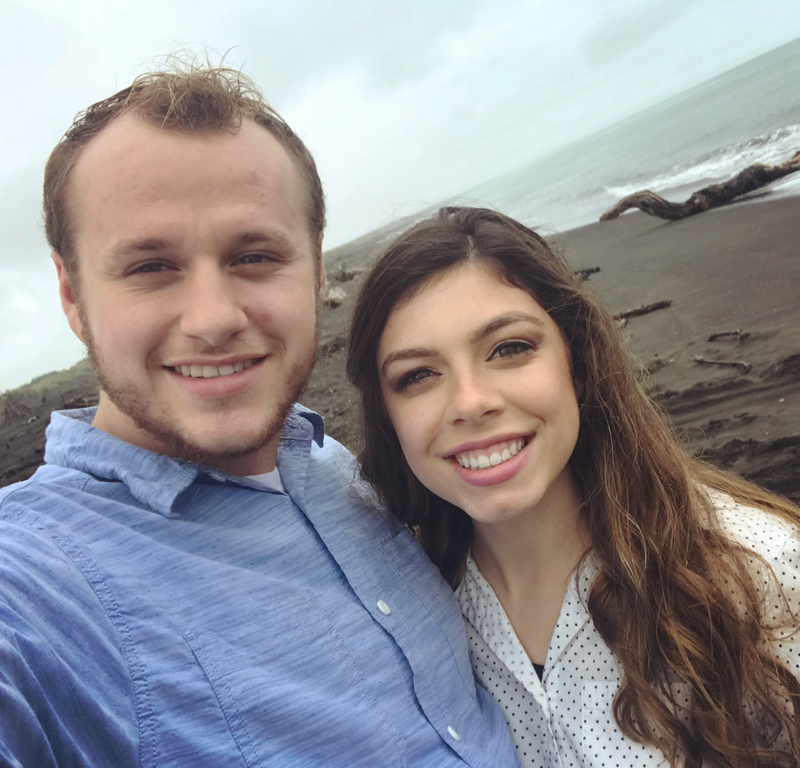 Since the last season, Joe and Kendra, as well as Jinger and Jeremy Vuolo, have announced a pregnancy, and Josiah Duggar and Lauren Swanson have announced a courtship. Jill and Derick Dillard, along with Samuel Dillard, traveled down to Austin, Texas, for a friend's wedding on Saturday. While in Texas, they also stopped in Laredo (230 miles southwest of Austin) to visit the Vuolos for the first time. John-David Duggar was the pilot. 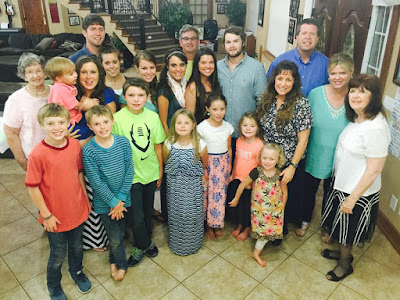 Most of you are familiar with Amy Duggar King, the Duggars' only cousin on Jim Bob's side of the family. 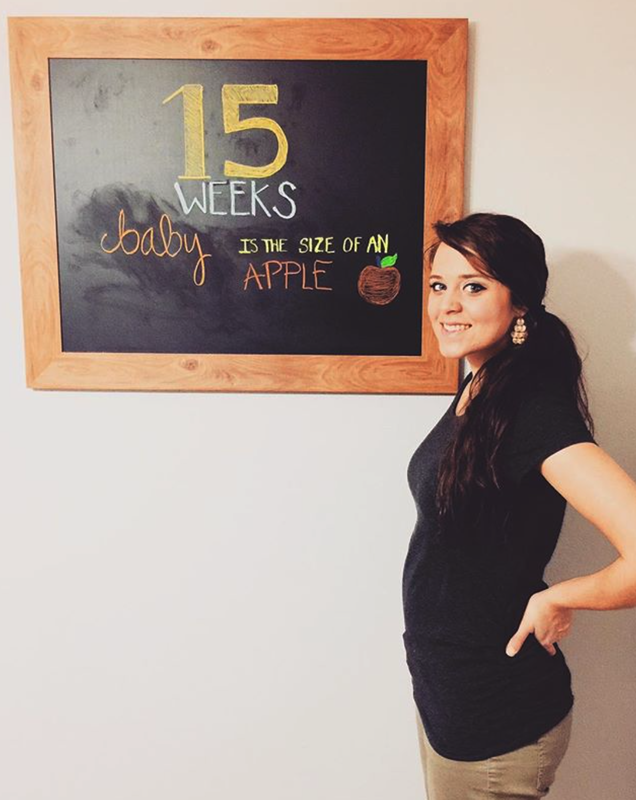 She has appeared on the Duggars' TLC show over the years and has also been featured in spin off specials. Although her lifestyle differs from that of Jim Bob and Michelle's children, she says they were her best friends growing up and that she is still close with them. 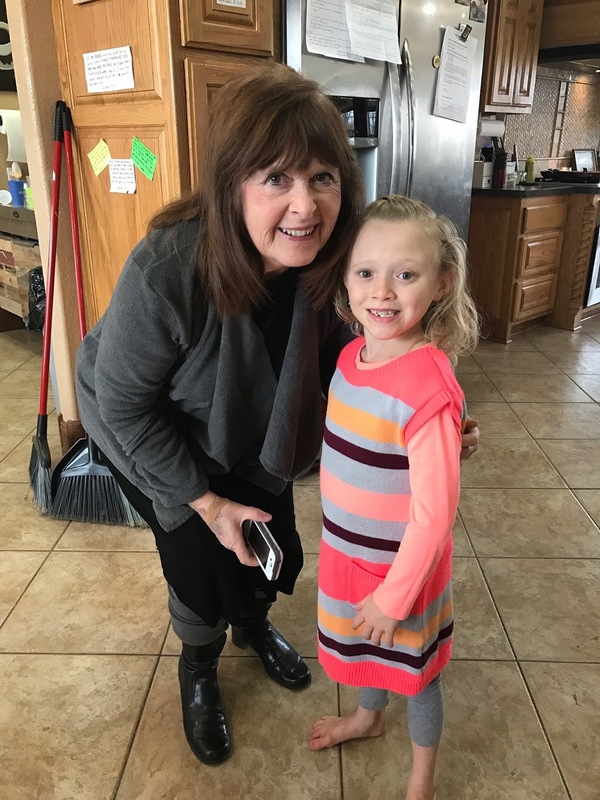 Last week, Amy did an interview with a woman named Kate Casey, who hosts an internet radio program called Reality Life. 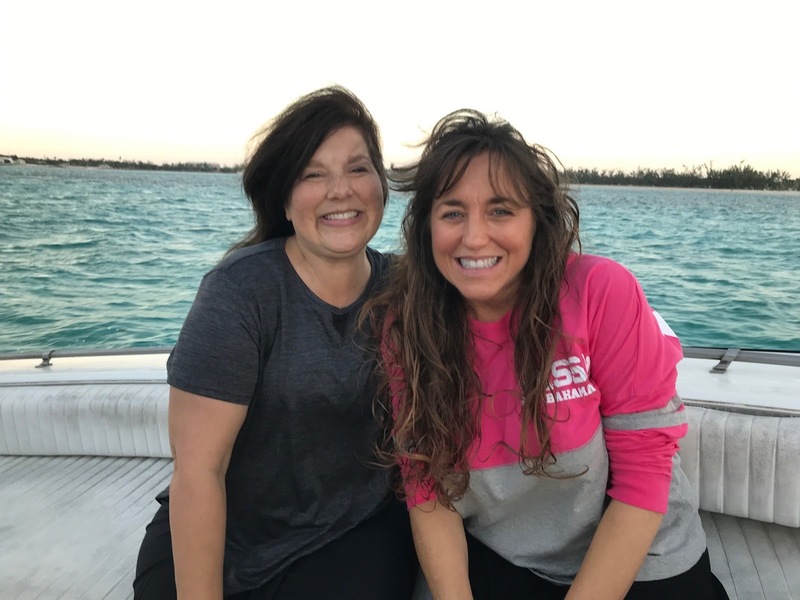 If you are interested in hearing from Amy, you can visit Kate's playlist and click on Episode 85. Amy's portion starts at the seven-minute mark. Please be advised that the interview contains a couple profanities and is not suitable for children. We have only listened to Amy's segment, so we cannot speak to the content in the rest of the interview. 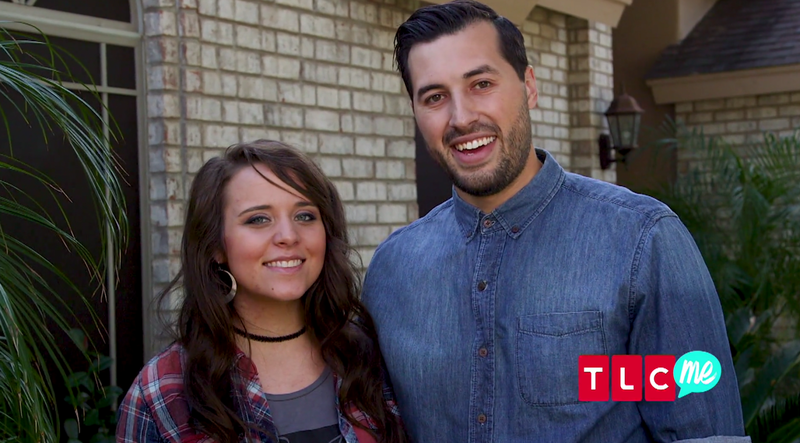 Just a few weeks after announcing their pregnancy, Jinger and Jeremy Vuolo are ready to share the due date. Baby Vuolo will be making his or her appearance in mid July, which means that Jinger is 15 weeks along and just starting her second trimester. 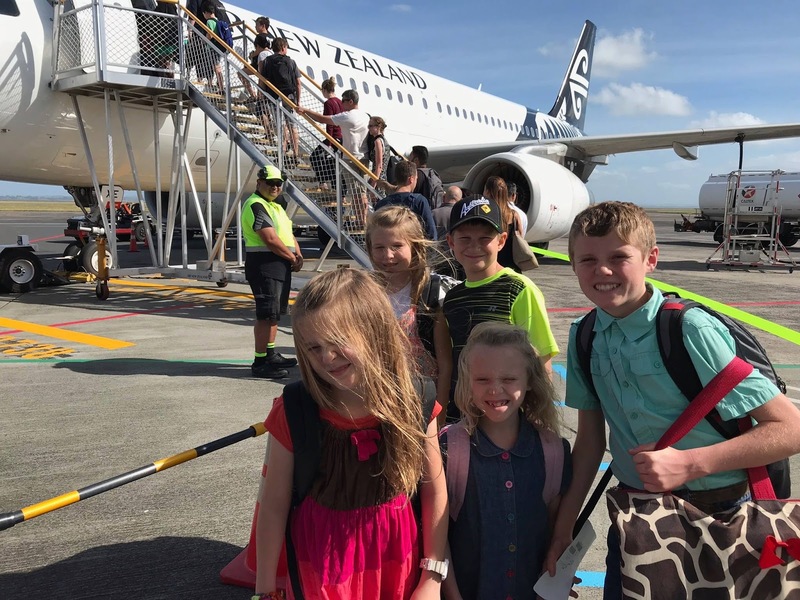 For our readers who live in New Zealand and are eager to meet the Duggars before the return home to the States, this could be your chance. The family will be in Palmerston North on Friday, January 26th, speaking about their life and faith. A light supper will be provided, and an NZSL Interpreter will be present at the event. In case you haven't heard the big news, Josiah Duggar is courting a gal named Lauren Swanson. 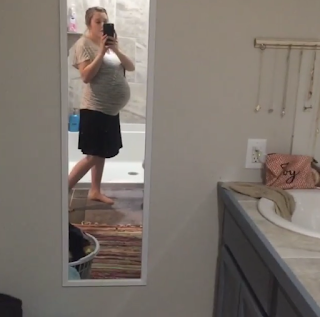 (Visit our post from earlier today to watch their announcement video.) 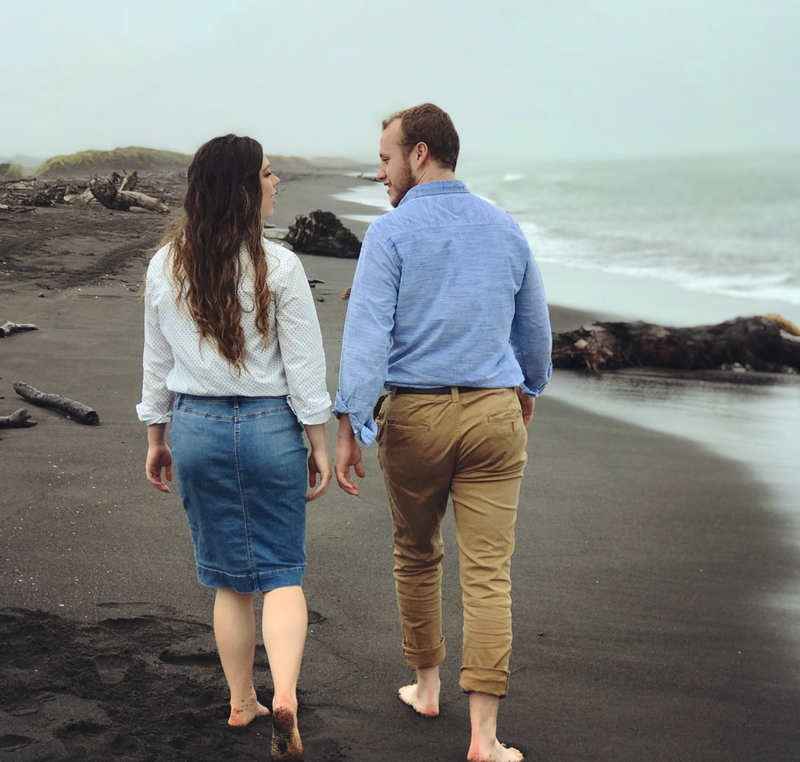 Below are two snapshots of the couple from their time in New Zealand with the Duggars. Josiah Duggar is in an official courtship! Who's the lucky girl? It's Lauren Swanson, Josiah's "special friend" who accompanied the Duggars on their trip to Australia and New Zealand. Lauren is 18 and the oldest of eight, and her family has known the Duggars for years. "I can definitely say I have found a great friend … even better than I could have hoped for or imagined," Josiah told PEOPLE. 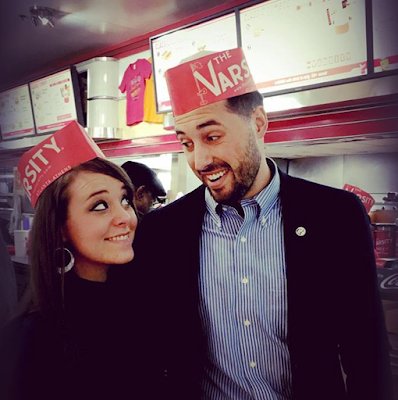 “I so appreciate Lauren’s Christlike character and tender heart toward others. She bring sunshine into the room and encourages everyone around her." Watch Josiah and Lauren's relationship unfold on the new season of Counting On, which premieres February 26th. 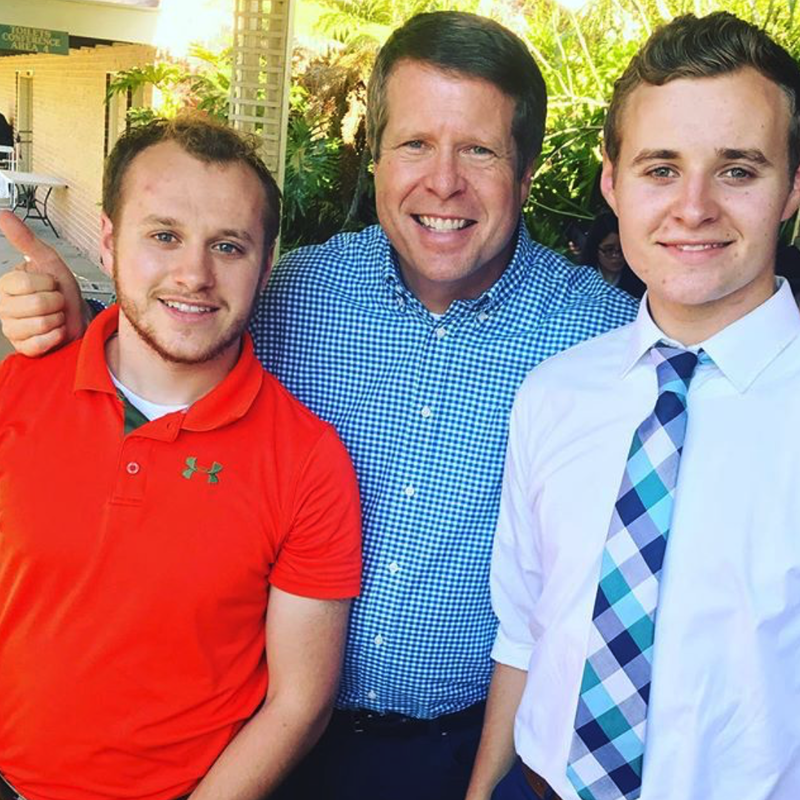 Three days ago, the Duggar family lost a dear friend. 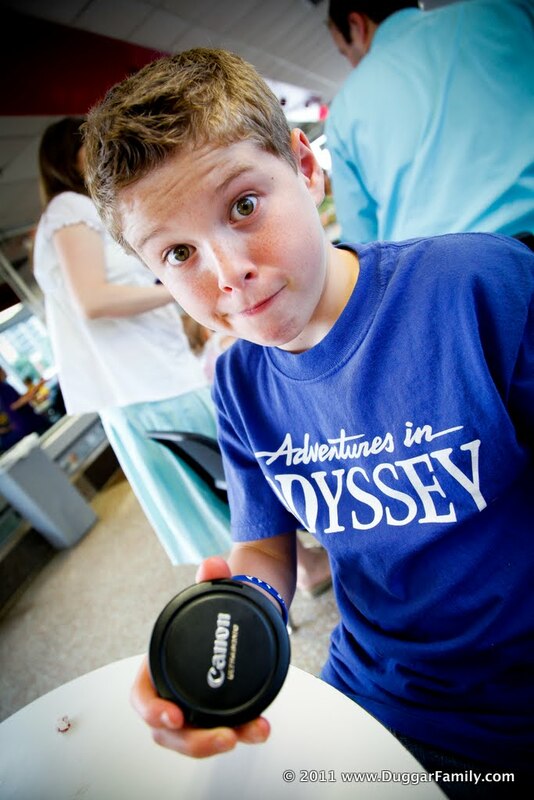 Clark Wilson went home to be with the Lord after a two-year battle with cancer. He--along with his wife, Denise--knew both the Duggars and the Bates. 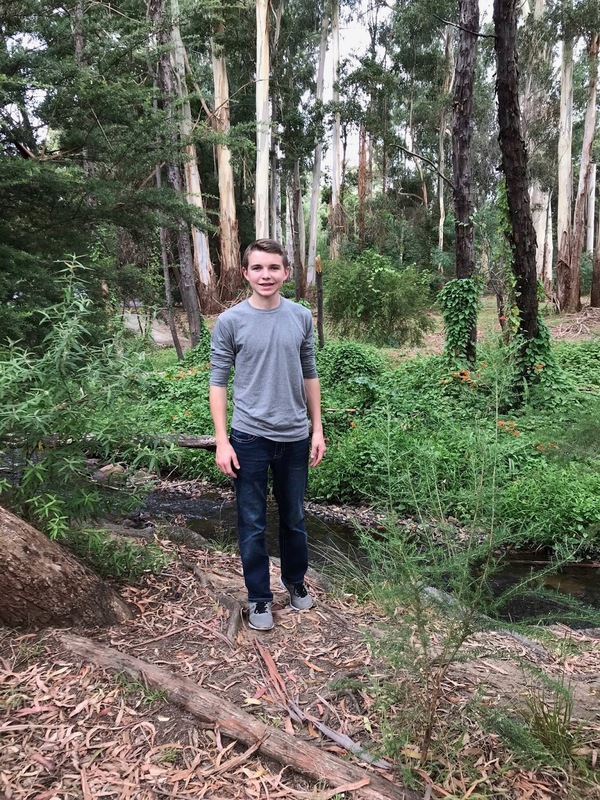 As a contractor, Clark was quick to use his talents to serve others. 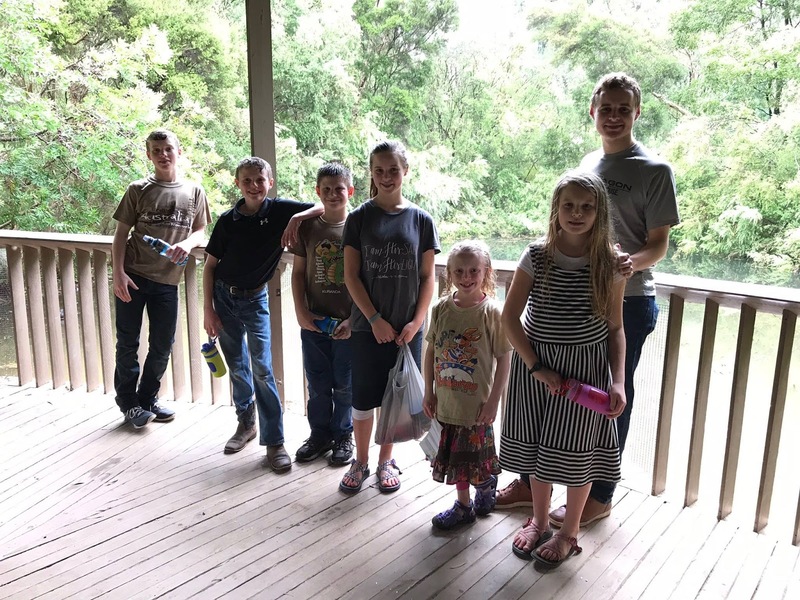 He and his family of 11 helped the Duggars build their house more than 12 years ago, and they helped the Bates add onto their house in 2008. We know that Denise and the family would appreciate your prayers during this difficult time. Wishing Joseph Duggar a very happy 23rd birthday! Now that the IBLP Australia Family Conference is over, Jim Bob and Michelle and the kids will be speaking at a similar conference in New Zealand that is going on from now until Monday. 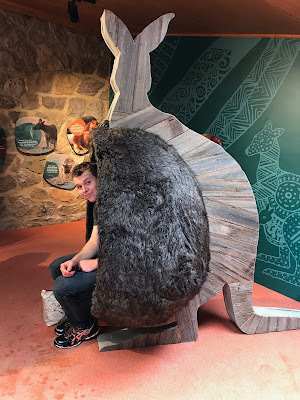 We have enjoyed hearing from those of you who have been able to meet the Duggars during their time Down Under. 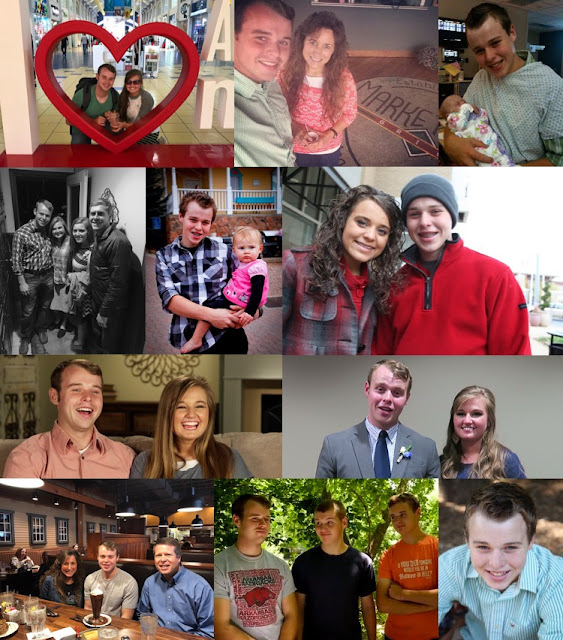 The Duggars who went to the conference were Jim Bob, Michelle, Jana, Josiah, Josiah’s special friend Lauren, Jedidiah, Jeremiah, Jason, James, Justin, Jackson, Johannah, Jennifer, Jordyn, Josie, Tyler (nephew), and family-friend Laura. 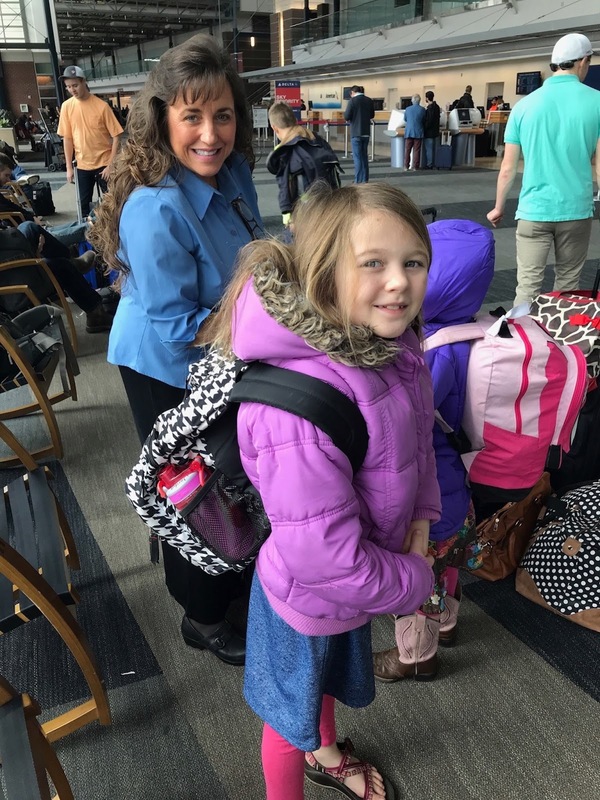 The Duggar children all worked as leaders to various children’s groups throughout the week, sat on the children’s panel answering questions, and gave family singing performances. Some sang in the youth choir. They gave out a copy of their book to each family and would sign if asked. Michelle and Jim Bob gave "scream sermons" (exact term used by the reader who attended the conference) and panel sessions, and both ran separate mothers, fathers, and couples prayer sessions in that mornings and had one-on-one time with everyone, giving advice, guidance, and prayer! They were such a blessing! *If you have met the Duggars in Australia or New Zealand and wish to share about it, post a comment or email us at duggarfamilyblog@gmail.com. Joy and Austin Forsyth's fixer upper house has come a long way since we saw it on Counting On just before their wedding. Jim Bob and Michelle and most of the unmarried kids (everyone but John) celebrated Jana's 28th birthday in Australia, while the married couples got together at Joy and Austin's house, along with Kendra's family, to honor John-David's special day. We know you enjoy seeing updated photos of the Duggar siblings who aren't in the spotlight as much as some of the others. These snapshots of 16-year-old James and 19-year-old Jeremiah were taken at a wildlife park in Australia that the Duggars visited over the weekend. 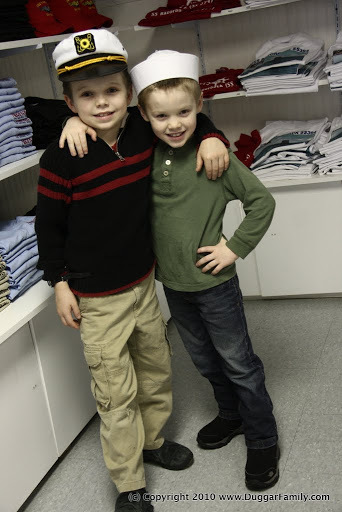 For comparison, below are photos of the boys when they were young. 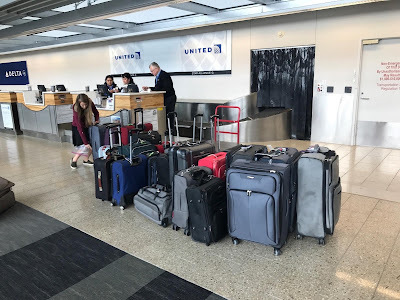 The Duggars have just arrived Down Under! As we announced several weeks ago, they have speaking engagements in both Australia and New Zealand. Michelle and Jordyn are all smiles after having survived the long flight. How much luggage does it take for more than a dozen Duggars to go Down Under? Lots! 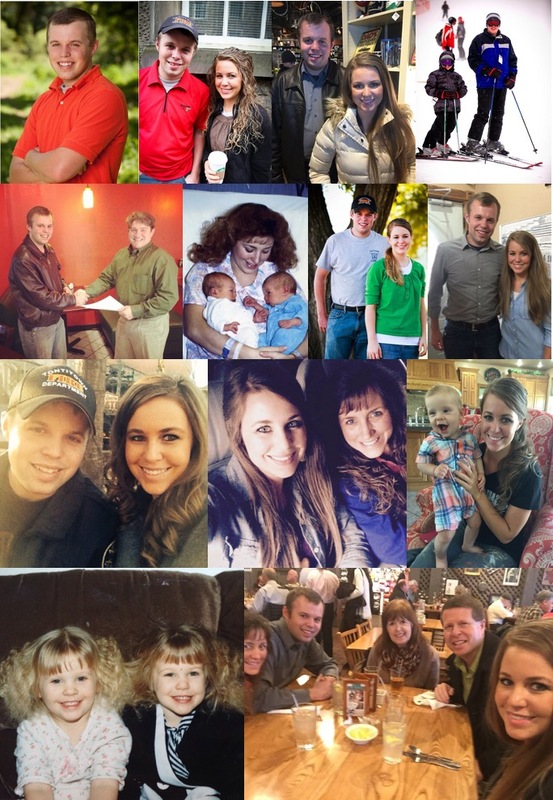 Wishing Jana and John-David Duggar a very happy 28th birthday! Mason Duggar, who made his grand debut on September 12th, is about to turn four months old. 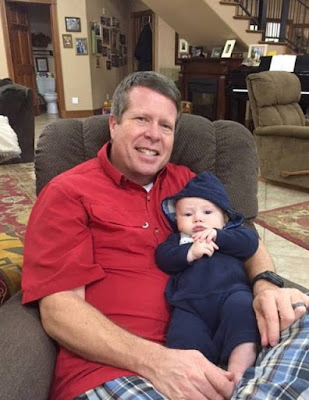 In the photo below, the fifth-born spends some time chilling with Grandpa Duggar. 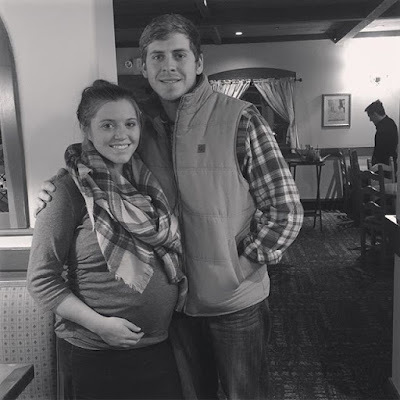 Mason won't be the youngest Duggar grandchild for long--three more Duggar babies are due to arrive by the end of the summer! On December 26th, 2017, the Duggar Family Fan Blog turned eight years old. 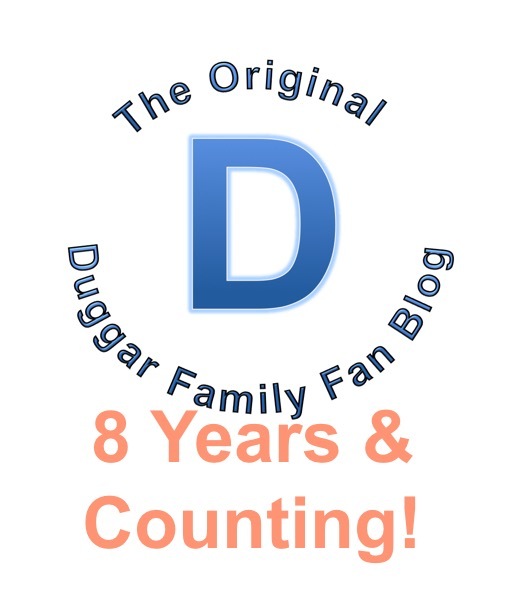 Over the past eight years, we have written more than 3,300 posts, but somehow it still feels like just yesterday when we chose a name for our corner of the web and started sharing all the latest Duggar updates. As we celebrate this anniversary, we want to say a big thank you to all our faithful followers--those who have been with us from the beginning and those who have only recently started reading our site. You are the reason why we do what we do. We would love to hear how long you have been reading and where you are reading from, so feel free to share a comment. Here's to another eight years! Hope all our blog readers are having a wonderful weekend. 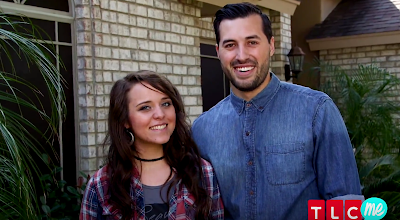 For those of you who are unable to watch videos that we post directly from the TLC website, we have embedded a YouTube clip of Jinger and Jeremy Vuolo's recent pregnancy announcement below. As we announced yesterday, Jinger and Jeremy Vuolo are expecting their first baby later this year, and their little girl or boy will be the 12th Duggar grandchild. In the video below, Jessa and Ben Seewald, Joy and Austin Forsyth, Josh and Anna Duggar, and Jim Bob and Michelle Duggar share their excitement in a video message for the Vuolos. 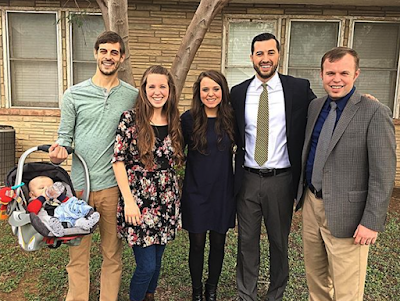 Following the exciting announcement of Jinger and Jeremy Vuolo's pregnancy, the Duggar family has another tidbit of news to reveal. New episodes of Counting On return to TLC Monday, February, 26th! 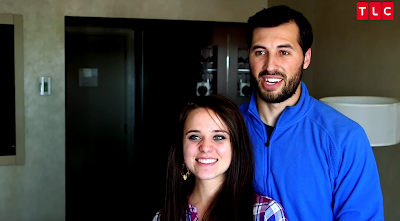 After 14 months of marriage, Jinger Duggar and Jeremy Vuolo are ready to move on to the next stage. They're expecting a baby! The elated couple has not yet announced their due date, and they haven't found out the gender. 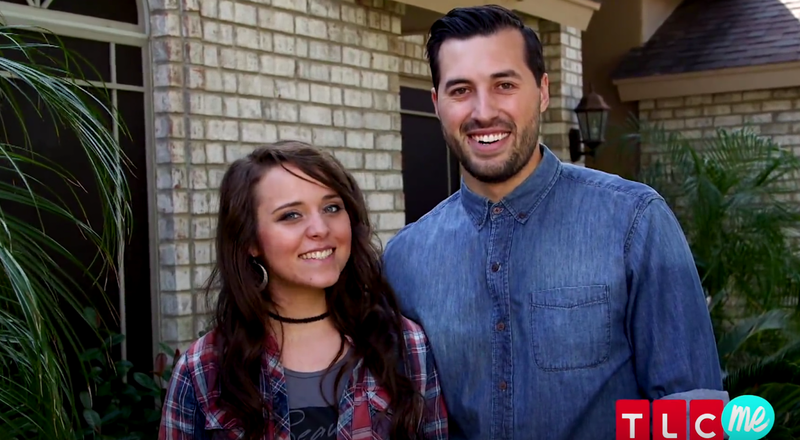 Hear from Jinger and Jeremy in the video message below. A couple weeks ago, we shared a video message that Jim Bob and Michelle Duggar filmed with Gil and Kelly Bates while on vacation in the Bahamas. 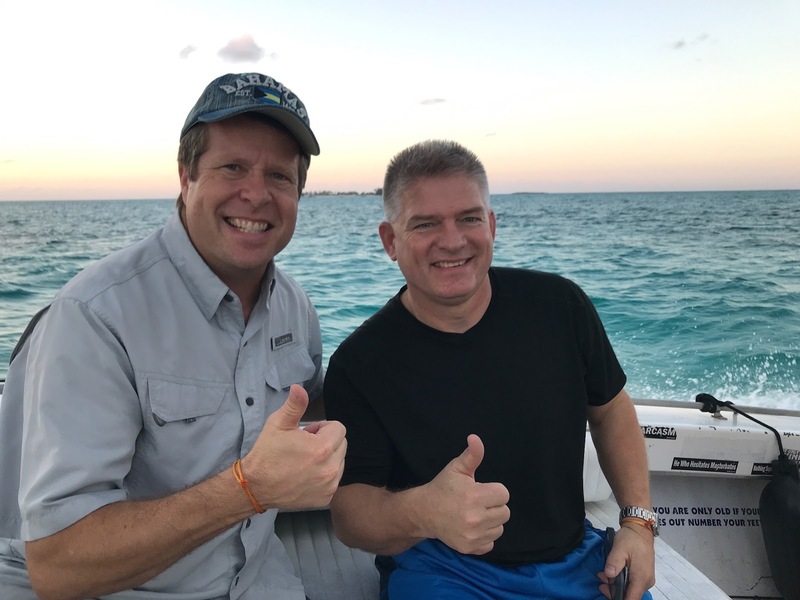 The trip was in celebration of the Bates' 30-year wedding anniversary, and the four friends were flown to the island by pilot John-David Duggar. Jim Bob said that he was pleasantly surprised when Michelle wanted to go parasailing. Below are a couple photos. Photos are property of duggarfamily.com and may not be used without written permission. Click here to view the full album on the Duggars' website. 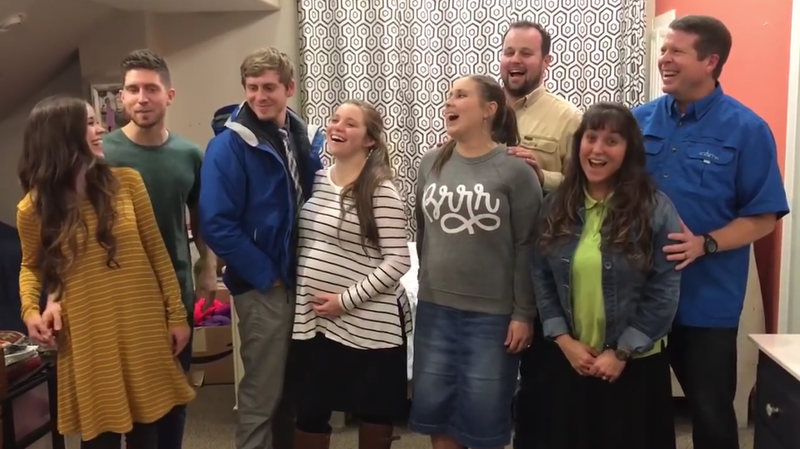 As they have in the past, the Duggars had a big bash last night to celebrate the end of 2017 and the start of 2018. 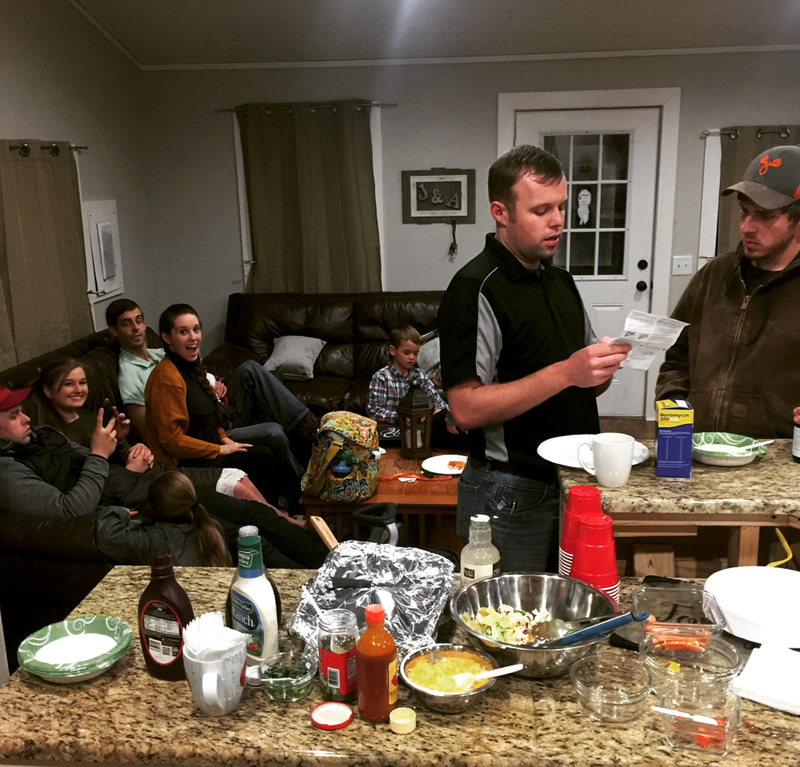 They enjoyed food, games, and fellowship and continued their tradition of "praying in the new year." Many family members and friends were in attendance, including a handful of Bates. The group played Bible Jeopardy, spoon frog, and a game where you put your head back and try to move a cookie from your eye to your mouth without using your hands. 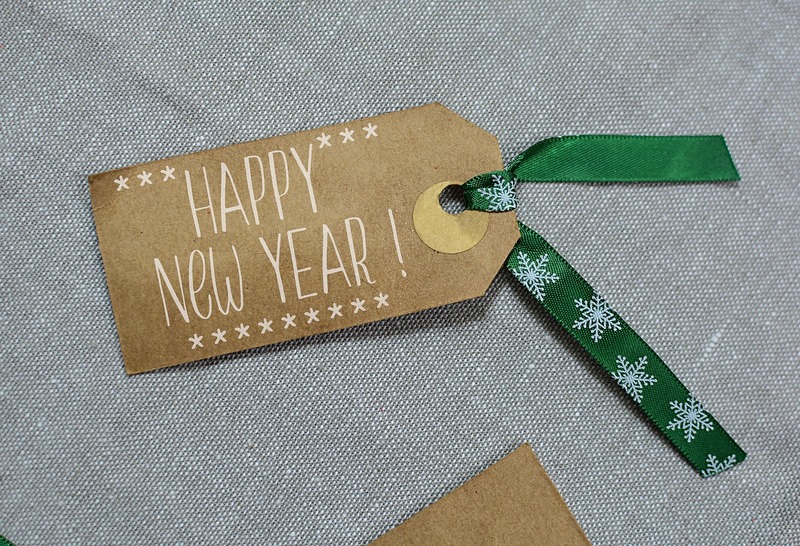 How did you celebrate New Year's?